The 2018 Volkswagen Jetta isn’t just a sedan. It’s where remarkable fuel economy, high-power performance, the latest in technology, and advanced safety collide. If this sounds like what you have your next-car wish list, this could be the vehicle for you. Below, shoppers in Toms River, Brick, Freehold, and Neptune Township can read up on what this impressive vehicle has to offer. Read ahead to see what we at Toms River Volkswagen are so excited about! You can also choose between two available engines: the lightweight 1.8L turbo 4-cylinder engine and the high-performing 2.0L turbo 4-cylinder engine. The latter engine puts the pedal to the metal with an outstanding power output of 210 horsepower and 207 lb-ft of torque. In addition to these available engines, you’ll also have access to an available 6-speed DSG® performance transmission. Pair the 2.0L engine with this transmission for seamless gear changes and exciting acceleration. 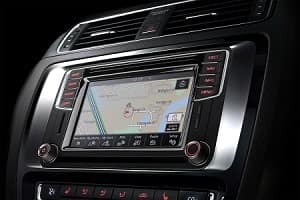 Inside the 2018 Volkswagen Jetta, you’ll have a variety of forward-thinking technology features to keep you entertained no matter how far you’re going. Standardly, you’ll have a 5-inch touchscreen sound system which comes with Bluetooth® audio streaming capabilities and a rear-view camera system. Kick entertainment and convenience up a notch with the available Discover Media 6.3-inch touchscreen navigation system. This system not only provides you with helpful turn-by-turn directions, but it also gives you seamless smartphone app integration through Apple CarPlay™ and Android Audio™. This available system also pairs seamlessly with the available Fender® Premium Audio System. This system includes eight surround sound speakers and a subwoofer for concert-like sound. Safety is always a priority and the 2018 Volkswagen Jetta was designed with that in mind. This model is standardly equipped with an Automatic Post-Collision Braking System as well as seven stability-enhancing systems. Features like Electronic Brake-pressure Distribution and Electronic Stability Control keep you steady and confident in all driving conditions. You can also opt for several advanced driver assistive safety systems. 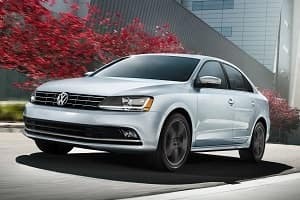 Available in the Jetta is Adaptive Cruise Control, Blind Spot Monitor, Front Assist, Rear Traffic Alert, and Park Pilot. The latter feature uses several external sensors to help you get in and out of even the tightest spots. Get Behind the Wheel of the Jetta Today! As you can see, the 2018 Volkswagen Jetta is one capable vehicle. With a powerful yet efficient powertrain lineup, an array of advanced technology features, and all the safety features you could want, this vehicle doesn’t leave much to be desired. Excitingly, this isn’t all the Jetta has to offer drivers in Toms River, Brick, Freehold, and Neptune Township. Get behind the wheel to see what else this sedan can do by giving us a call at Toms River Volkswagen today to schedule your test drive! 1 28 city / 40 highway mpg (2018 Jetta 1.4L, 5-speed manual transmission). EPA estimates. Your mileage will vary and depends on several factors, including your driving habits and vehicle condition. Toms River Volkswagen	39.9617916, -74.1791262.